Produced by Native American Cherokee Indians, this long ribbon cut tobacco is made from the highest quality blend of flue-cured and burly tobaccos. 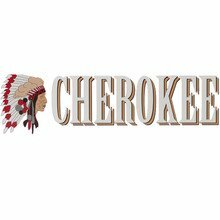 The Cherokee nation has been blending tobaccos for centuries, and their experience and expertise are apparent with each delightfully mellow puff. Affordable and flavorful this is a quality tobacco worthy of many bowlfuls. This is a great tobacco for RYO Nice Strong menthol flavor,The flavor and amount of menthol is equal to my regular brand OHM,There is a few more sticks but the price difference makes up for that. Ordered for a friend; Says best choice of menthol. Quick shipping, fair price.